The Republican Party loves to call itself patriotic, pro-military, and pro-troop, but their actions rarely match up with this rhetoric. Unfortunately, this has been made extremely clear during the last few weeks, as GOP politicians are currently trying to help payday lenders and banks exploit our troops with predatory lending practices. In 2006, a law was passed that would allow the Dept. 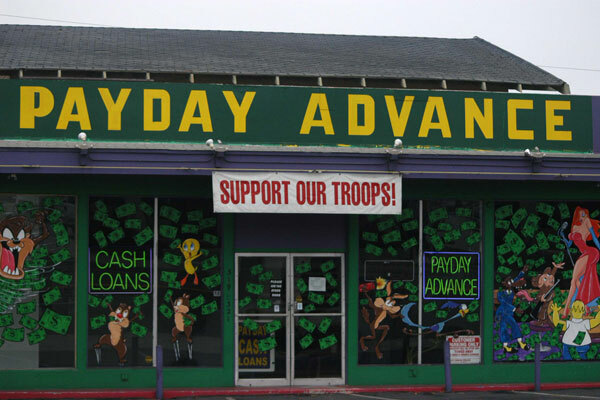 of Defense to restrict banks and payday lenders from applying exploitative interests rates when lending to troops. This was necessitated by the fact that lenders were giving short term loans with annual interest rates well into the hundreds of percents, trapping thousands of active-duty soldiers in endless cycles of debt. In order to support their families, soldiers would be forced to take out loans, which would balloon and require them to take out even more loans to keep afloat. Last year, the DOD finalized its rules restricting exploitative lending practices aimed at active-duty soldiers, and are now trying to get them implemented. Unfortunately, during the last two weeks, the Republican majority in the Congress has voted twice to delay this implementation process and potentially kill the reforms entirely. Currently, an amendment to the NDAA that stalls these protections is being finalized by Representative Stivers (R-OH) and will shortly be voted on. It is expected to pass and will be included in this year’s NDAA. As Obama is unlikely to veto the NDAA over this provision (defunding the entire military), it appears as though the Republican sellouts will be successful in stopping these protections and enabling continued abuse by unethical lenders. In effect, the Congressional Republicans are trying to make it easier for legalized loan-sharks to ruin the lives of the people who we send to protect our nation. They may claim to love the troops, but have shown through their actions that they clearly love the banksters who pay them campaign contributions far more. While I certainly don’t support many of the choices made by our military’s leaders (ex. invading Iraq) or even the conduct of many of our troops (ex. Abu Ghraib), I find it amazing that anybody can justify the exploitation of soldiers to turn a profit. Our soldiers put themselves into harm’s way, ostensibly in order to serve their country, risk life and limb on a regular basis, and are paid a frankly-pathetic wage for their efforts (ex. the starting salary for an E1 Army Private is $18,378 per year). Because they are often away from home and make such low wages, soldiers often are forced to borrow money just to support their families. If this weren’t shameful enough for our country, we have allowed predatory lenders to live in this niche and use the desperation of soldiers to force them to accept usurious interest rates. Just to complete this injustice, we then have politicians who take money from the lenders in order to facilitate their crimes and who also take money from the military-industrial complex in exchange for starting even more wars. This multi-faceted collage of greed illustrates just how immoral and corrupt our politics have become in recent years. We have elected corporate sellouts who are willing to aid and abet the exploitation of even those who protect our nation if it will fill their pockets with campaign donations. Any politician to support payday lenders over soldiers should have to answer for their vote come election time—conservative pro-military groups in particular should hold these politicians to account for voting in favor of corporate cronyism and exploitation rather than the best interests of citizens. 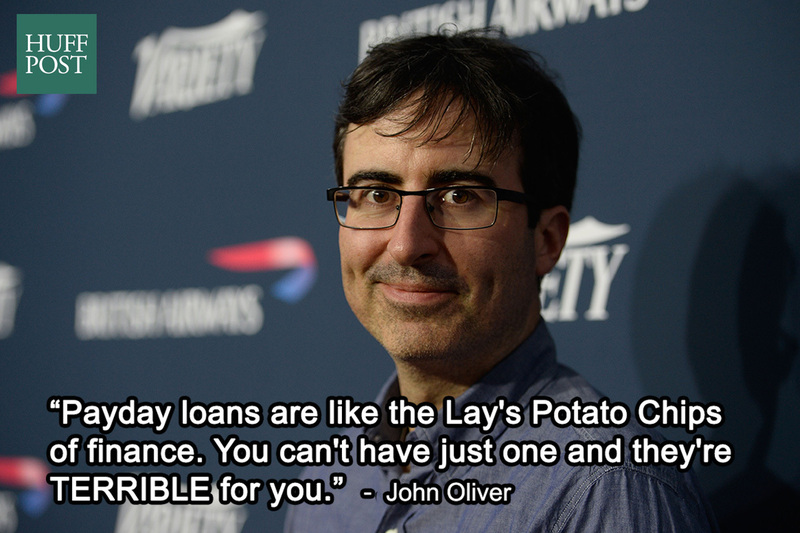 The John Oliver segment was excellent, thanks. I am stunned they would include undermining an attempt to stem the exploitation in the NDAA. I don’t know why I am stunned, but I am. You are right, we have elected sell outs. By our apathy, we have put into office the worst, the most pitiful.